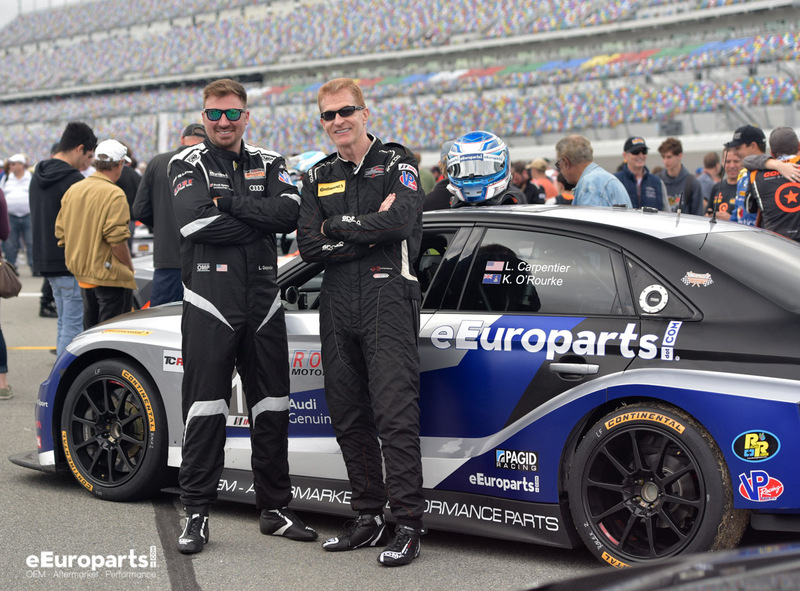 Hot off the track from the Roar Before the 24, the first successful weekend as a 4-car team, eEuroparts.com ROWE Racing announced the addition of a 5th car for the 2019 IMSA Michelin Pilot Challenge season. 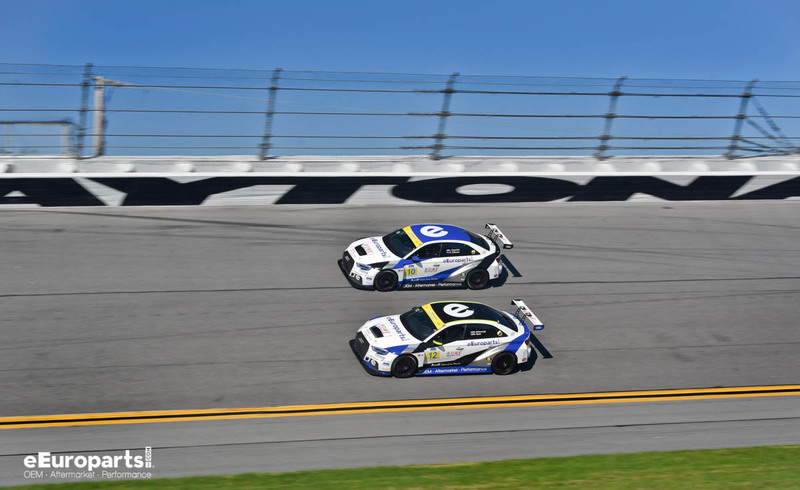 The team will add a second Audi R8 LMS GT4 into the mix, giving them a 5-car lineup featuring two Audi R8 LMS GT4 racecars, and three Audi RS 3 LMS TCR’s. 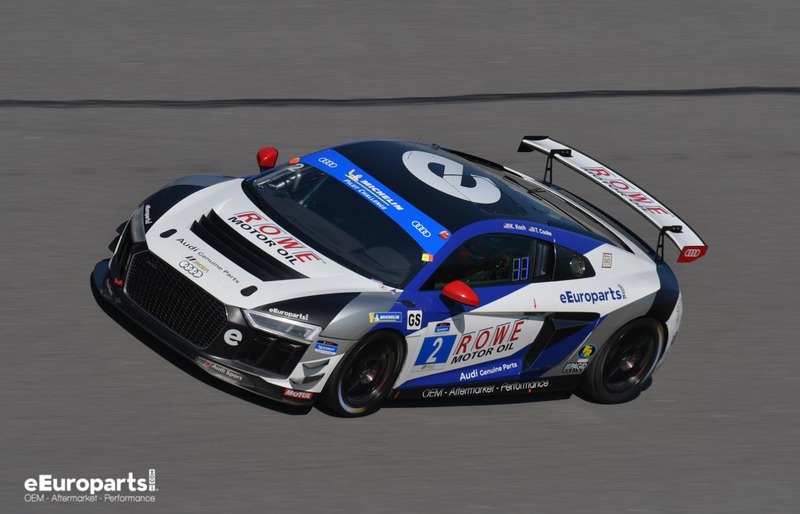 It was only a year ago that eEuroparts.com ROWE Racing entered the ranks of IMSA Racing with a single TCR entry. They added a second car mid-way through the season (Watkins Glen) and showed great success with 5 pole awards, two wins, and finishing third in the championship. As discussions took place for the 2019 season, it didn’t take long for the talk of expanding to GS to take root. Now entering just their second year with IMSA, the young team will field 5 cars in the newly named Michelin Pilot Challenge. eEuroparts.com ROWE Racing is set to debut their 5th car during the Rolex 24 at Daytona weekend, the first race of the season January 25th. It is possible that the crew will be doing up to 20 pit stops during the 4-hour long BMW Endurance Challenge at Daytona. “We cannot be more excited to start this season presenting a four car eEuroparts.com ROWE Racing team, and one partner team in RoadShagger Racing” says team owner Matt Moran. “We’re very grateful to our customers, sponsors, employees, and families for their support of our success in 2018 and our growth in 2019. 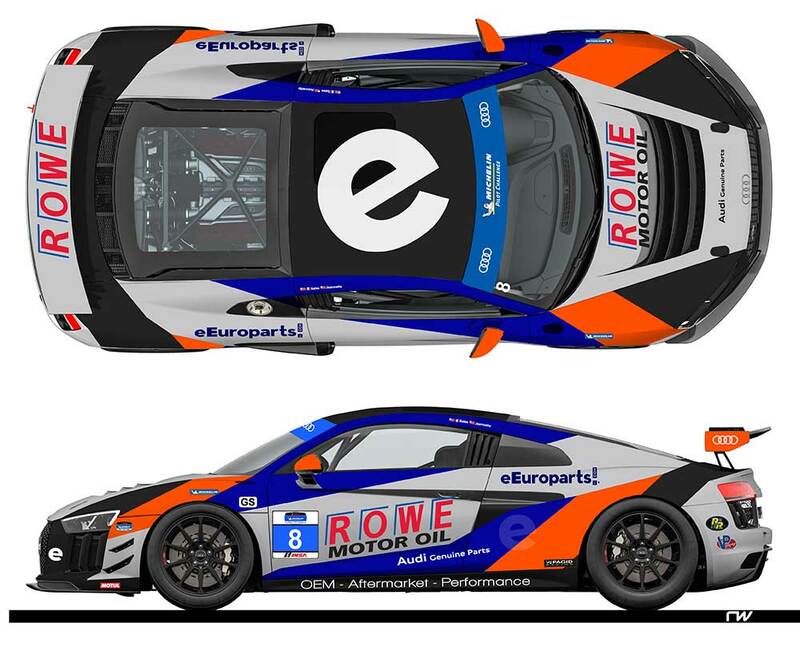 We’re looking forward to an exciting year racing with IMSA, ROWE Motor Oil, and Audi Genuine Parts!”. Sponsored by: eEuroparts.com, ROWE Motor Oil, A Natural Difference, Audi Genuine Parts – Tyler Cooke and Kenton Koch quickly took to the new Audi R8 during testing at the Roar Before the 24. It didn’t take long for them to post some of the quickest times of the weekend, with Kenton putting in the 8th fastest time of 74 drivers. The duo is feeling confident as they head into the first race. 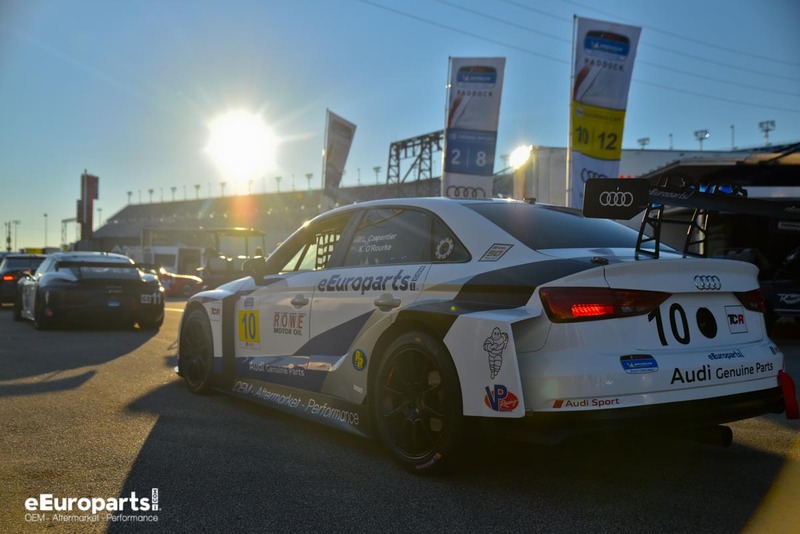 Sponsored by: eEuroparts.com, ROWE Motor Oil, Audi Genuine Parts – Rodrigo Sales and Gunnar Jeannette will join the team ready to hit the track at the Rolex 24 at Daytona. Rodrigo entered his rookie season with IMSA in 2018, where he took second in season points TCR class. He is now looking to continue his growth into the GS category. Gunnar boasts a long background in the ranks of professional motorsport, most recently competing in the GTD class of the IMSA WeatherTech SportsCar Championship. Sponsored by: ROWE Motor Oil, Audi Genuine Parts– Kieron O’Rourke and Lee Carpentier made a strong return to TCR after finishing the 2018 championship third in points. They showed well during the Roar Before the 24, as Lee consistently threw down quick laps throughout the weekend. 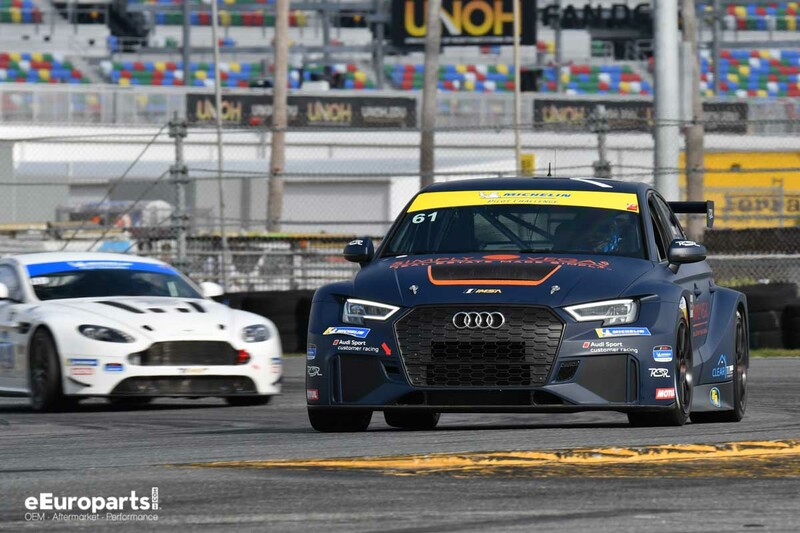 Sponsored by: ROWE Motor Oil, Audi Genuine Parts, JJRD – Ryan Nash and Russell McDonough are quickly adjusting to the front wheel drive Audi RS 3 as they each transition from open wheel racing. The duo is eagerly looking forward to their rookie season of sports car racing in the IMSA Michelin Pilot Challenge. Sponsored by: Roadshagger Racing, Simply Vegas Real Estate, Clear Title, Audi Genuine Parts – Gavin Ernstone and Jon Morley topped the time sheets during testing at the Roar Before the 24. The driver pair is looking to continue the momentum as they head into the first race of 2019. ROWE Motor Oil is a division of ROWE Mineralölwerk. eEuroparts.com is a leading retailer of auto parts for late-model European vehicles both online and from its store in Windsor, CT.